Transform your trips into lifelong memories. WishTrip will take your trek and turn it into a photo album, trail map and personalized video - all in one. With WishTrip, it’s easier than ever to record and share your travel experiences. The app enables you to create interactive travel albums from the pictures and videos you take while traveling. 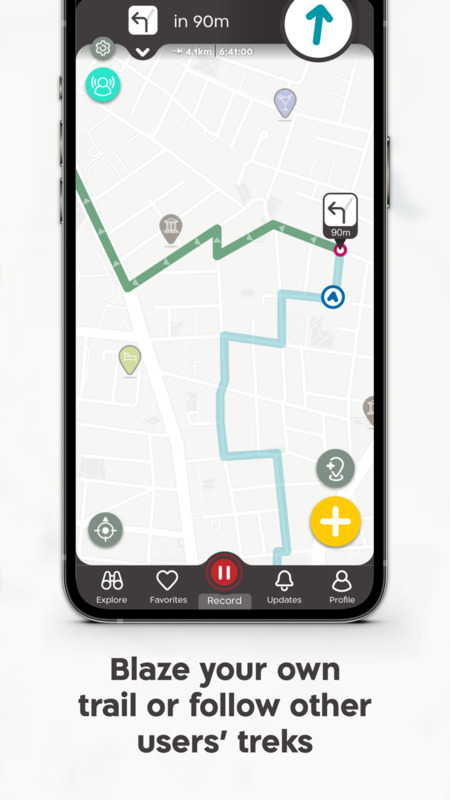 Whether you’re walking, hiking, biking, driving or trekking, you can use WishTrip to record everything you see and do - without missing a beat. 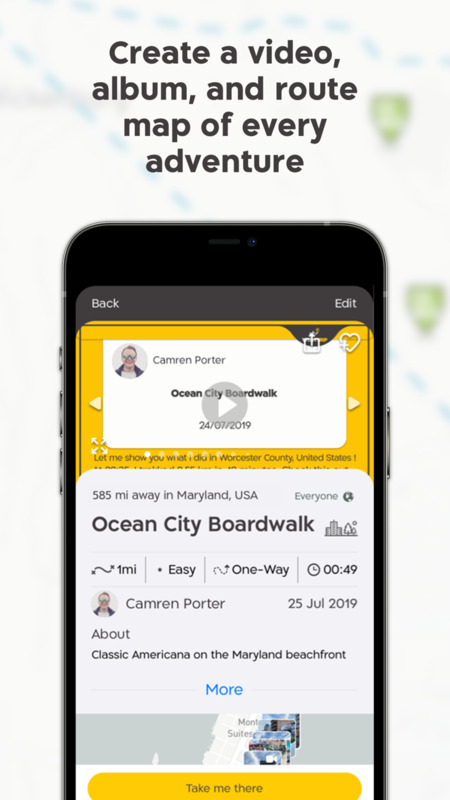 • Connect with a network of like-minded travelers with our chat feature. After the trek is history, be kind: share your adventure on social media. With WishTrip, all you have to do is open the app, hit the record button and then take pictures and videos as you normally would. We’ll do the rest. Download WishTrip and start creating memories today! Since our last intergalactic transmission, we’ve received word that your 4.5 billion year old spinning blue sphere will be sucked into a supermassive black hole this Thursday. Unfortunately for life as you know it, this naughty region of spacetime will only be discovered next Wednesday by a famously lazy astrophysicist. On the bright side, you’ll be able to enjoy your remaining days with renewed confidence and vigor. Marco Polo has been turning over in his grave ever since some industrious ladies and gents put some elbow grease into it and redesigned this app’s site screen. It’s now easier to use than a one-colored Rubik’s Cube. Those clever boys and girls also made it possible for terrestrials to pull up nearby trails with the tap of their, or anyone else’s, finger. You no longer have to be a famous explorer to venture forth with confidence! No, don’t go just yet. With your flying blue marble about to be crushed by a billion suns, there’s no better time to talk about SoI clusters. Earthlings looking to chart a new course before they’re crunched down to a singularity will be delighted to hear that a cleaner app interface combines all nearby points at a site into one. Once a user zooms in, a nifty cluster of individual points appears. Yes, the end is nigh, but there’s no need to panic. You can rest easy tonight knowing that a third map mode has been added to the app. So as time ticks its last, you’ll more quickly gain your bearings if and when you manage to load up the truck, pack your fishing gear and go on an unplanned day trip. Don’t you cry tonight: there’s a heaven above you...for the next few minutes at least. Until then, check out this other new feature that lets app users know when they’ve entered a part of a trek that doesn’t have GPS. You’ll no longer have to wonder if you’re lost: you’ll know it most definitely.